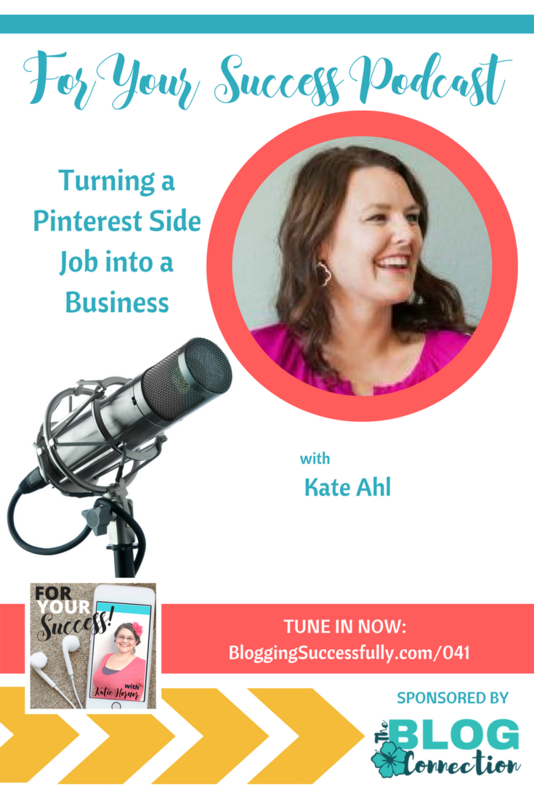 Social media plays a huge part in any business these days, so I am especially excited to have Kate Ahl on the podcast. Kate is the founder and owner of Simple Pin Media, a Pinterest management company based in Portland, Oregon. Because social media can be so overwhelming to new business owners, Kate is passionate about taking that off their plate so that they can refocus on building their business. 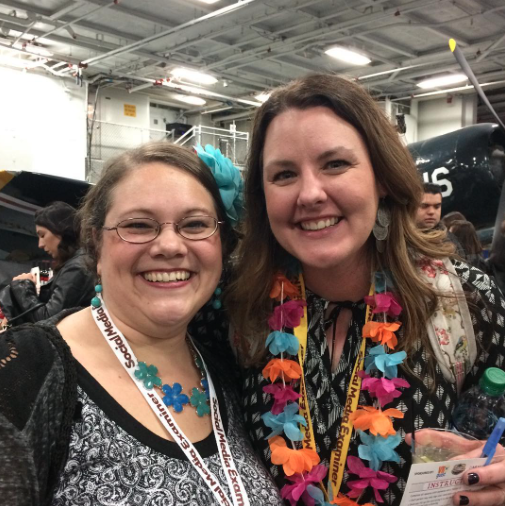 She set out to build a business that was so trustworthy that business owners could totally let go of their Pinterest marketing and know that it was being taken care of. Kate was invited to Pinterest early on but had zero interest in it. At the time, the platform was confusing for new users and she wasn’t at all convinced that it was going to be a viable concept. She was much more interested in Facebook marketing which she was exploring for a blog she was contributing to. But the now infamous Facebook algorithm change in 2013 caused Kate, and many others, to scramble looking for new marketing platforms. The friend that Kate was working for on the blog suggested that Kate begin to explore Pinterest and using it for marketing as a business. She took courses and learned as much as she could about when to pin, how to pin, and what was getting results. If you are accustomed to using Pinterest for your own personal use, you need to change your mindset when it comes to using it to promote your business. The typical Pinterest user goes on the platform to dream about tomorrow. They use it to plan and to keep things they want to come back to. Some people just scroll mindlessly, seeing what catches their eye. *Kate shares multiple details in this episode on using analytics to increase your success on Pinterest. She has a full course on her website called The Simple Pin Master Course which walks you through every detail you need to know to manage your own Pinterest account. Be sure to check it out! 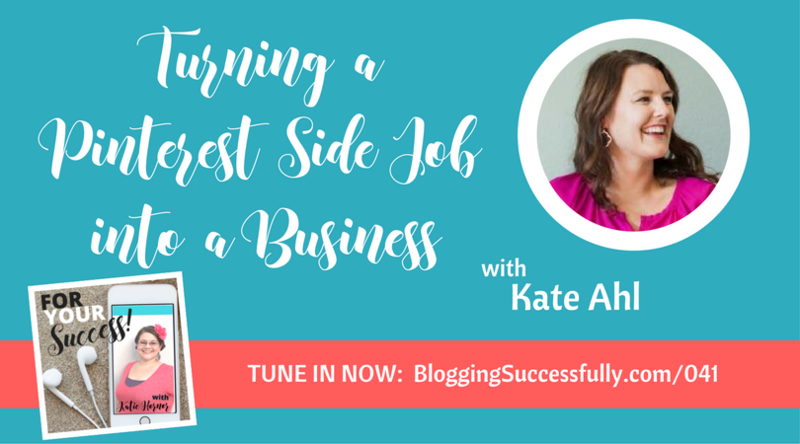 When Kate first started thinking about creating the business, it was only intended to be a side hustle. She never saw it growing to over 25 team members serving over 100 clients. But a medical emergency with one of her children about 8 months after she began opened Kate’s eyes to the fact that she simply needed help. 6 months later, she was thinking that this gig might not be a side hustle for much longer. 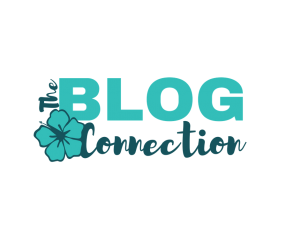 A recommendation from a big blogger put Kate and her business in front of more people. She hired a coach at that point to help her grow the business in the way it needed to grow. She is now seeing her clients realize huge benefits from using her service and that makes it all worth it for Kate. She is determined to have a business that is so worth the money her clients pay for it that even when they are frustrated over their numbers being down (and they do go down at times), they will still depend on Kate and her team to do what is best for them. If you are struggling in your business, Kate says that getting feedback from your community is very important. It is so normal to second guess yourself, to feel like you aren’t doing a good job, to compare yourself to others and to feel like you will never know enough to be successful. Hiring the business coach was the most crucial step for Kate in moving her business forward, simply because going into the second year of business, she was getting distracted and losing sight of her goals. Her coach kept her eyes on the original vision they had set for her business. Not being a slave to her business is high on Kate’s list when defining success. She owns her business, it does not own her. She is privileged to have mostly women on her team and offer them a part-time income. And enjoying her family while making a full-time income, while expressing her creativity, also ranks high on her list.